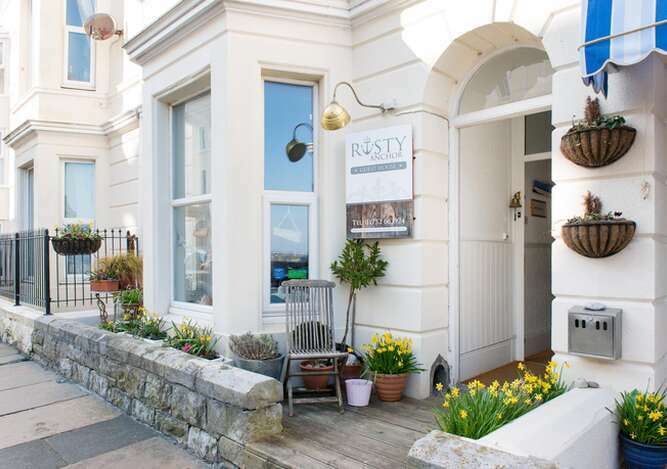 Welcome.....The Rusty Anchor Guesthouse is perfectly situated on Plymouth Hoe's west seafront, just a stroll away from all the major attractions including the Hoe itself, Plymouth city centre, theatre, Pavilions, National Marine Aquarium, cinema and historic Barbican. 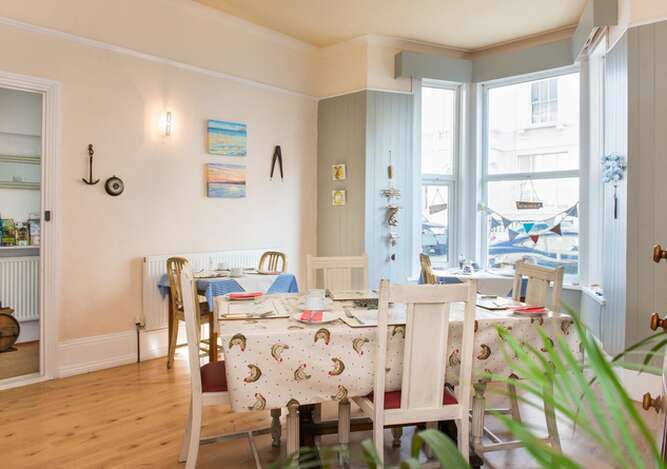 The Rusty Anchor Bed &Breakfast is a classic Victorian (1898) townhouse adjacent to Plymouth's bustling harbour. This elegant six bedroomed property has been modernised to provide a chic, eclectic look whilst maintaining much of its originality. We pride ourselves in our genuine desire to make your stay as relaxing and pleasant as possible. 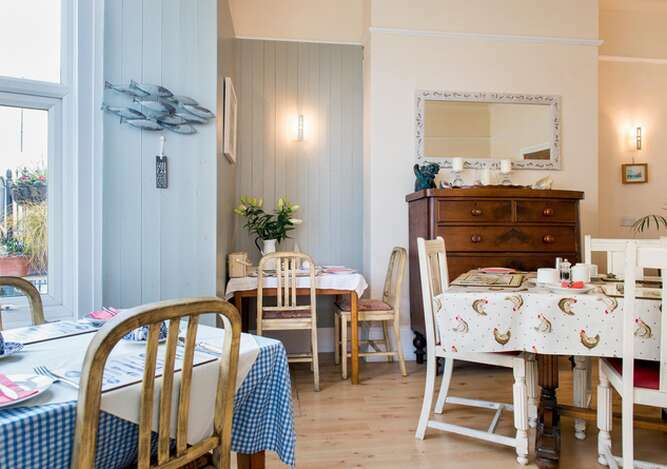 The shabby chic, atmospheric interior,allows for a peaceful environment for everyone to share.This, plus our open kitchen provides a warmth and friendliness that is unique to The Rusty Anchor. Our locally sourced organic foods plus homemade marmalades, jams and breads are widely used for our hearty breakfasts. And of course we cater for specialists diets.... just let us know in advance please. With a host of attractions and events throughout the year(www.visitplymouth.co.uk) Plymouth is vibrancy is tangible. 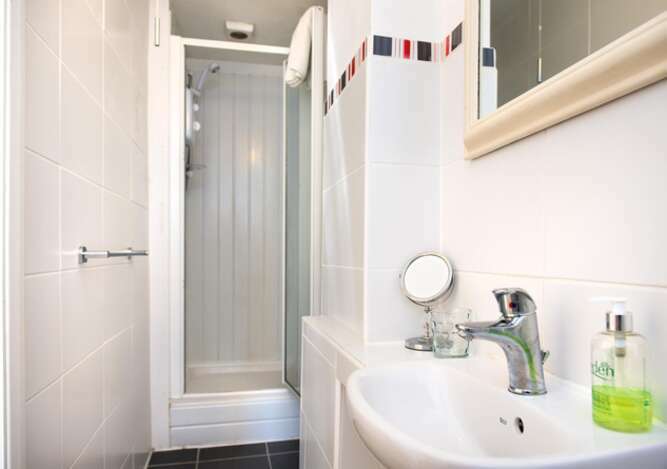 Just a 5 min drive from Ferry Terminal to Roscoff, centrally placed to the Ciy's heritage and university together with the buzz of bars and restaurants in The Barbican and Royal William Yard which are virtually on the doorstep. 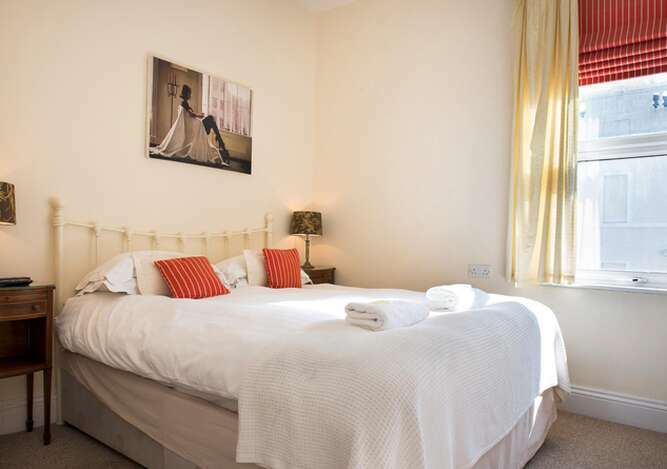 Low season from £40.00 single ensuite occupany in double room. 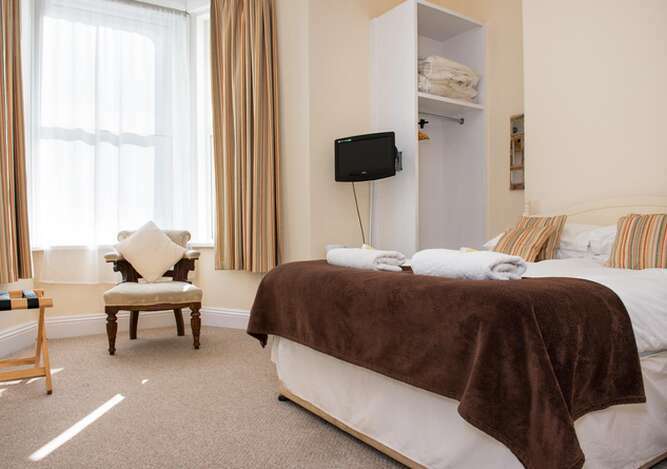 High season from £50.00 ensuite occupancy in double room.